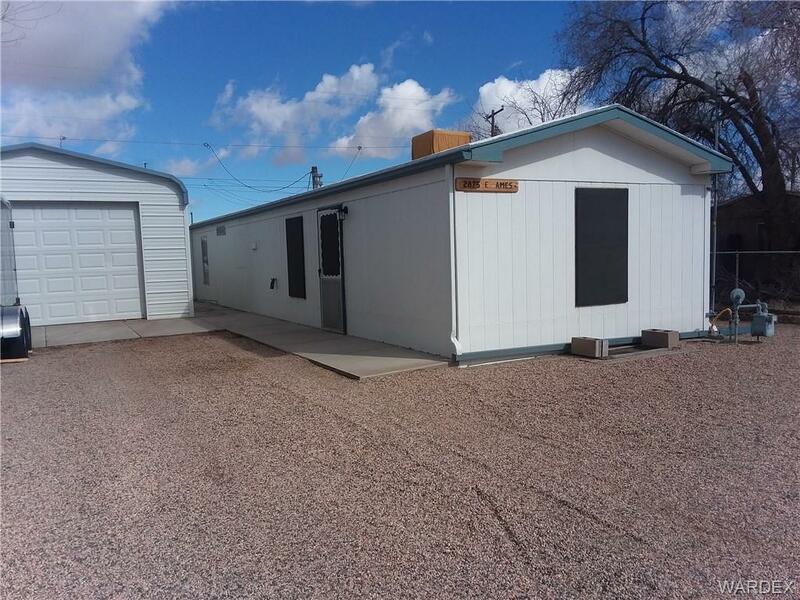 Very nice ground set mobile with 2 bedrooms, 1 & 1/2 baths and a 2 car detached garage. Fully fenced. Concrete and gravel makes this a real nice place. Must see.